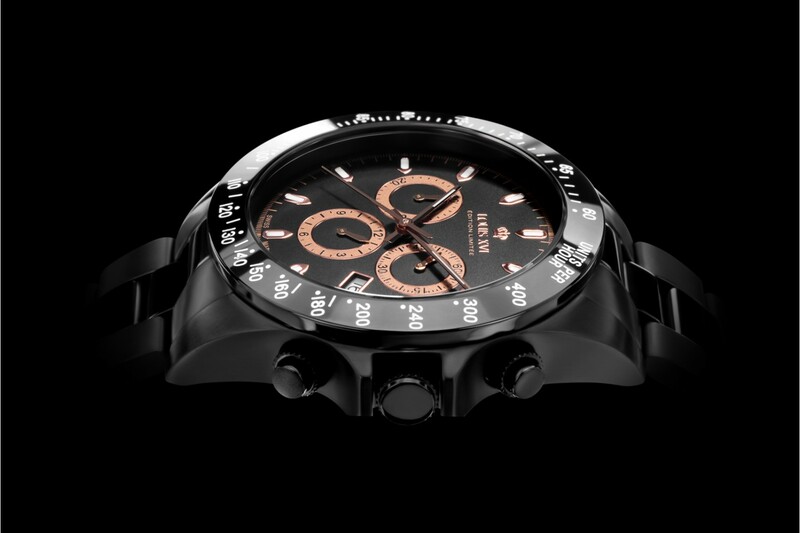 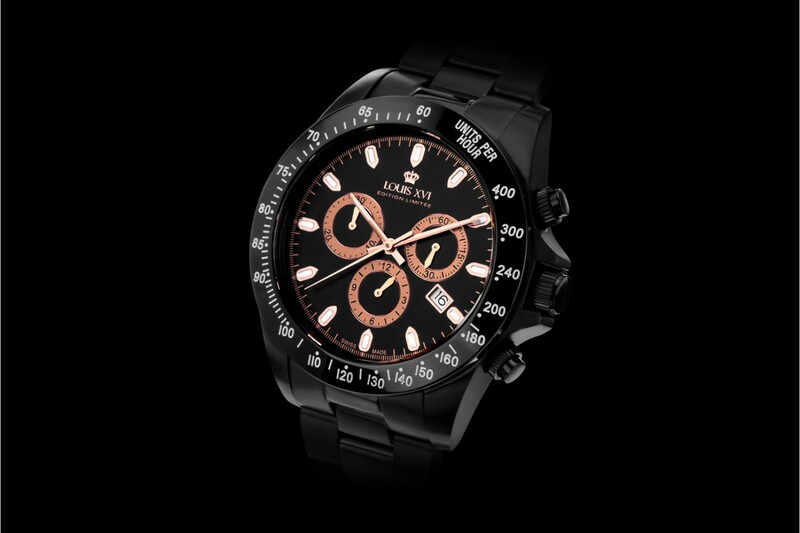 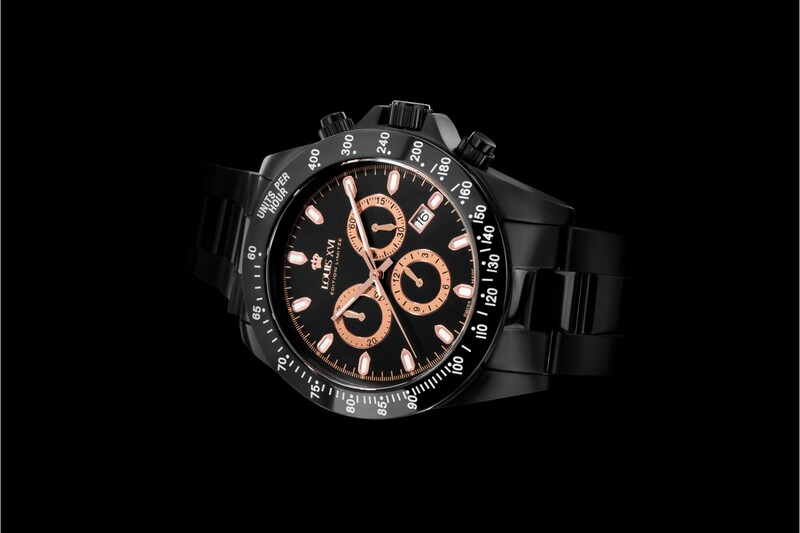 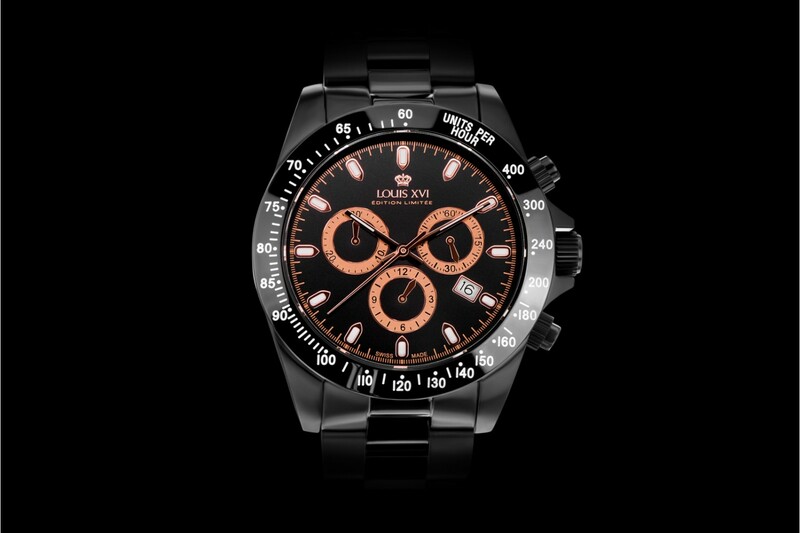 A sporty, durable design that will keep you in the spotlight thanks to its twinkling chronograph and elegant tachymeter. 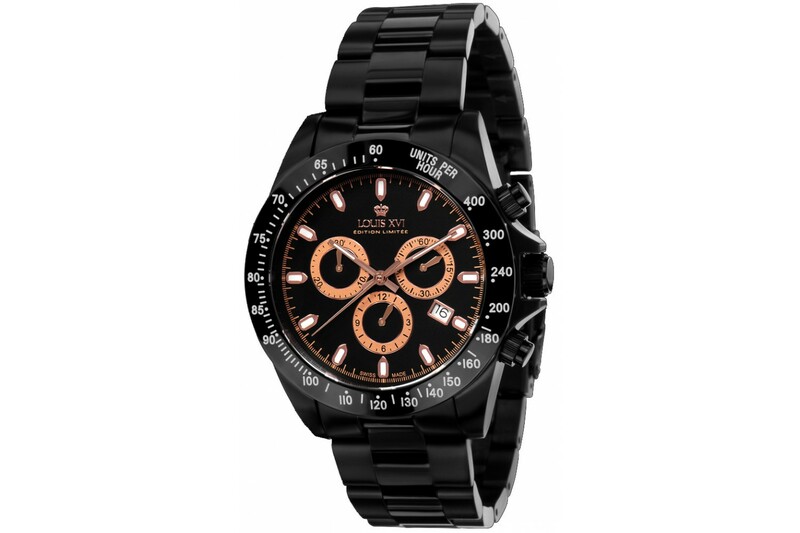 A mesmerizing black oyster bracelet is held together by a logo-engraved butterfly clasp. 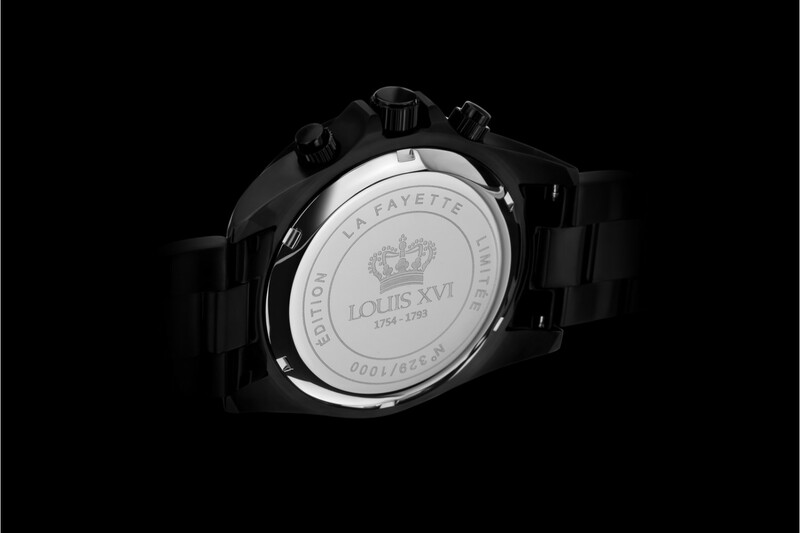 Like all LOUIS XVI chronograph models, the La Fayette is chronometer certified by the COSC (Swiss Official Chronometer Testing Institute), the only precision and reliability benchmark based on an international norm.